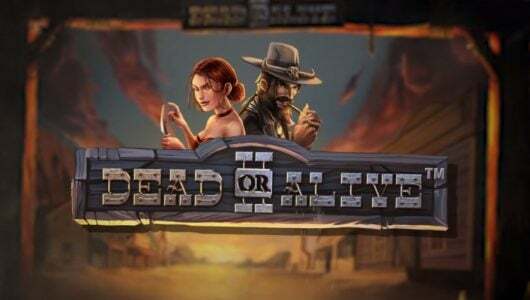 Agent Jane Blonde Returns is a Microgaming slot game in collaboration with Stormcraft Studios. 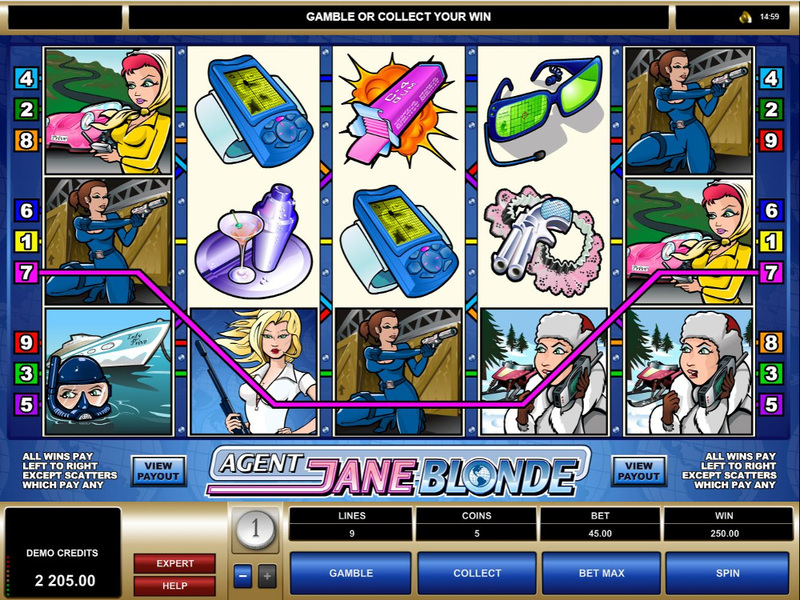 As we explored the online slots which we play for real money we noted that it’s the sequel to ”Agent Jane Blonde” that dates back to 2005. More than a decade on Microgaming decided to juice up the game a bit, Stormcraft Studios led the charge on this one and not in a good way. With 15 paylines, 5 reels, and a top cash prize (non-progressive) of 300x your stake on a single spin it’s low variance play all the way. So, who exactly is this Agent Jane Blonde? For starters online slots critics (us included) dubbed her ”all looks and no brains”. 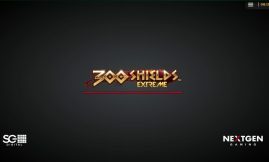 Okay maybe that’s a bit harsh given the fact that Microgaming and of course Stormcraft Studios tried to revive an old game by adding a Re-spins feature where scatters are transformed into sticky wilds. The visual fidelity is sharp punctuated by a vibrant theme that sees our feisty agent double-dealing, catching and avoiding the bad guys in typical James Bond style eh sorry, Jane Blonde fashion. You can spin the reels from ‎£0.05 to ‎£400 per spin on mobile devices (Androids, iOS and tablets) or PC. The max bet per spin has us shaking our heads, who in their right minds would wager this amount of money on a game where the top cash prize is only 300x your stake? We certainly hope that Microgaming thinks we as players aren’t stupid, if it’s the case the vendor really missed the plot with this release. Symbols on the reels are laptops, cars, cash, passports, handbags, watches and the premium symbol Jane Blonde (wild) which appears in different outfits (stealth, diving gear and smoking hot). 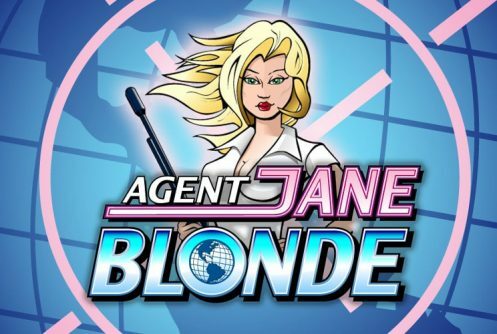 The RTP or theoretical return to player percentage of Agent Jane Blonde Returns slots is above 96%. The wild symbol is our heroine Jane Blonde, winning combinations are completed by it when it substitutes symbols adjacent to it except the scatter. The Re-spins feature is played when 2 scatters pitch, essentially the scatters become wilds that stick to the reels followed by a re-spin. You’ll keep on getting re-spins as long as new wilds keep on pitching on each spin. The re-spins end when no more wilds grace the reels. Any other bonus features perhaps? That’s a wrap, surely Microgaming could have done better than this! Clearly not. The original Jane Blonde received glowing reviews from slot critics, 14 years later we have a dud. Maybe our expectations are a bit unfair but in some cases it’s justified. The winning potential is a dismal 300x your stake further compounded by the fact that it only has one bonus game. To say the least this an appalling slots from Microgaming and the one bonus feature it has fails to deliver a satisfying punch. The slots has a Re-spins bonus that’s initiated when 2 scatters appear any position across the reels which become sticky wilds. As long as the wilds keep on popping up re-spins are awarded – no wilds no re-spins. 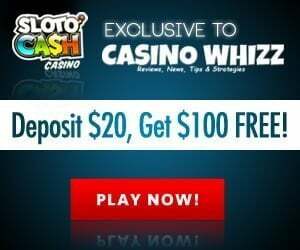 At which online casino can I play the slots? If you’re willing to throw away you time and cash on a game that we won’t even bother sticking a pin into you can play it at Trada Casino. 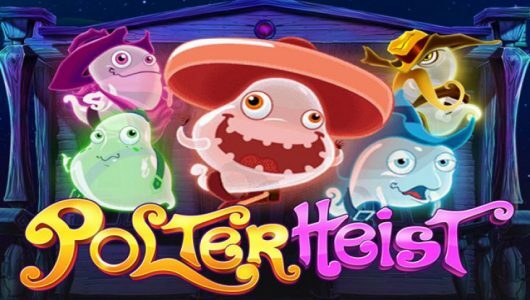 The operator is licensed by the British Gambling Commission, new customers get 100 free spins on a deposit of 10 credits with a roll over requirement of 20x. If you accept the bonus your maximum bet per spin is ‎£0.20. 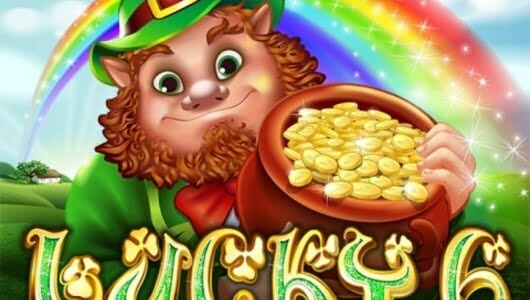 The casino lists a mind boggling number of games powered by the likes of NetEnt, Microgaming, Quickspin, iSoftBet, Evolution Gaming to name but a few. Regular players receive cash back on losses, comps and it has a beefed up rewards program for high rollers.